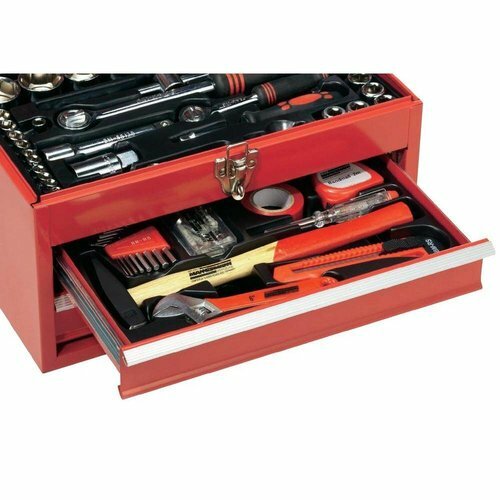 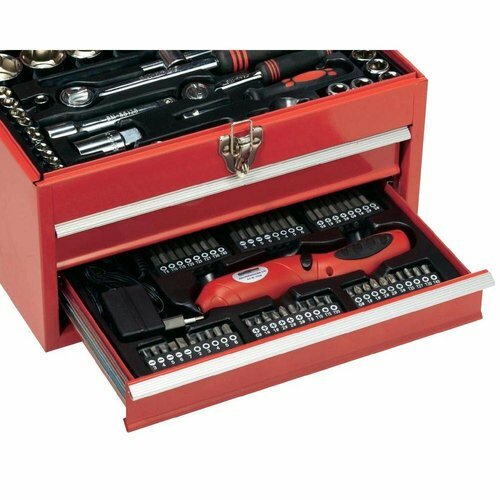 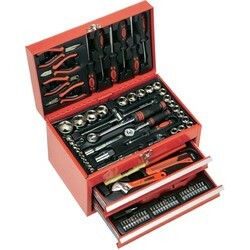 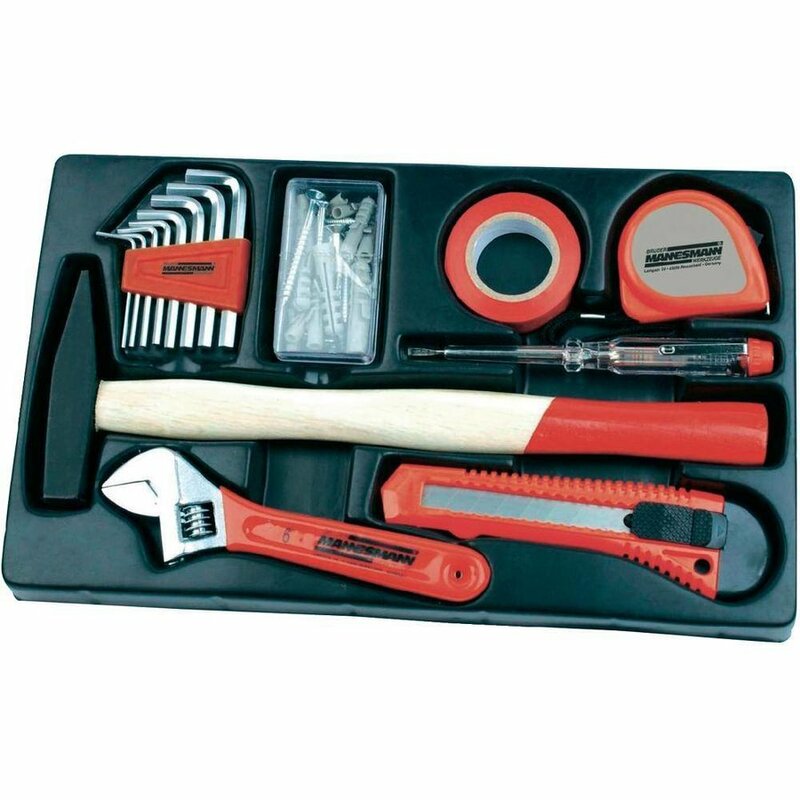 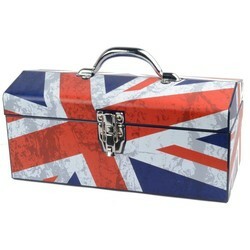 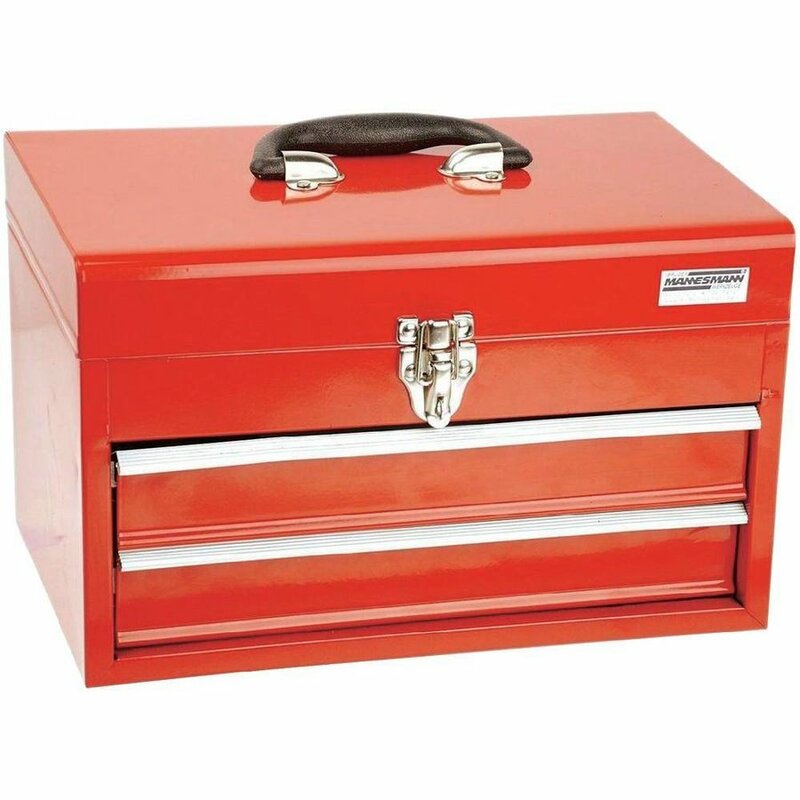 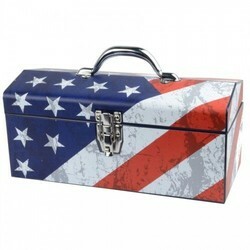 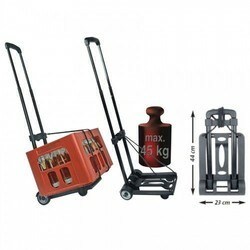 Toolbox of sheet steel with 2 smooth-running drawers and lockable lid with handle. 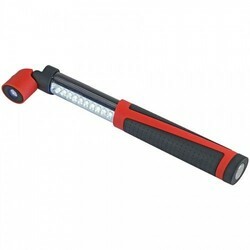 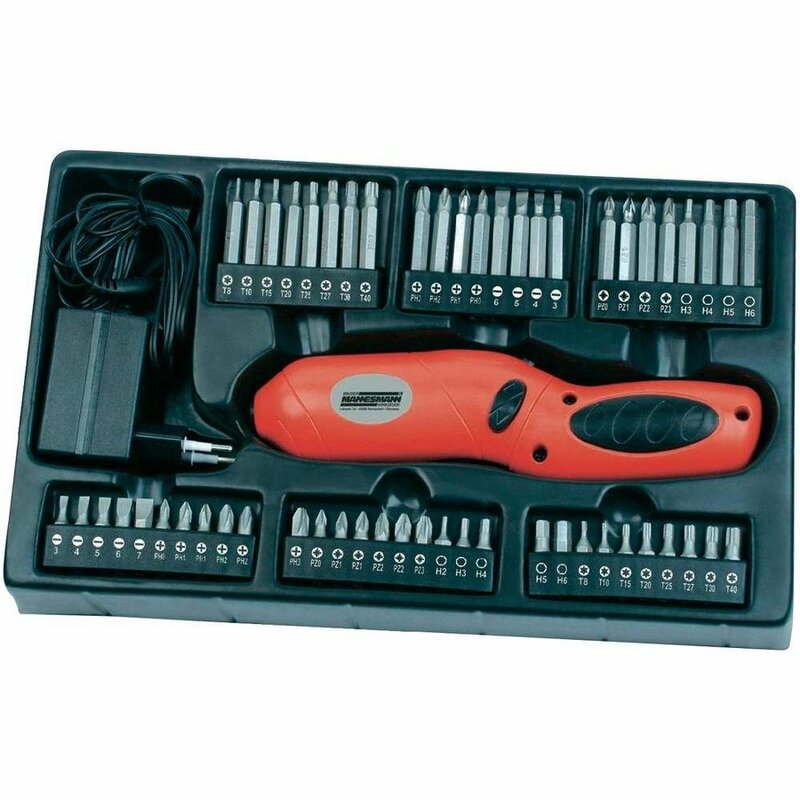 Very well stocked with, inter alias, a 3.6 volt screwdriver with adjustable handle bar and adapter. 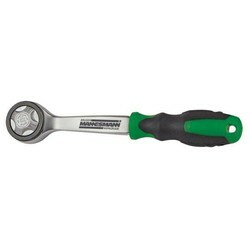 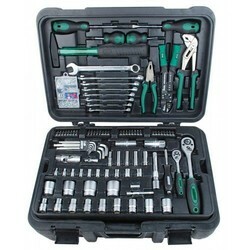 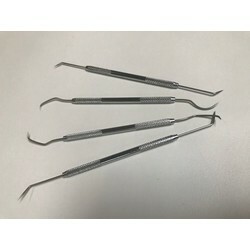 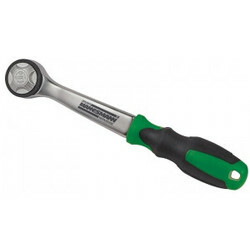 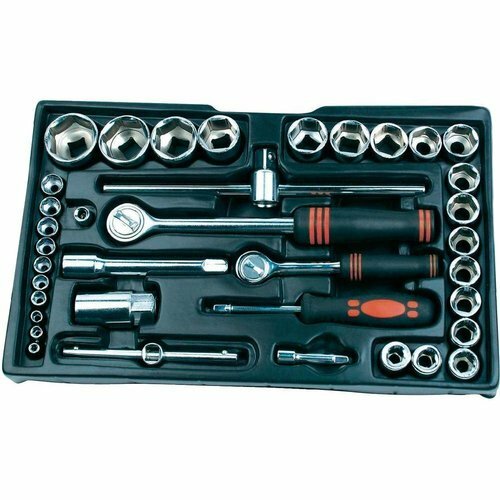 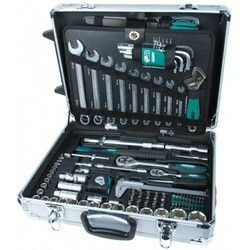 1/2 "and 1/4" ratchet caps with wide range of short and long bits, extensions, adapters, etc. 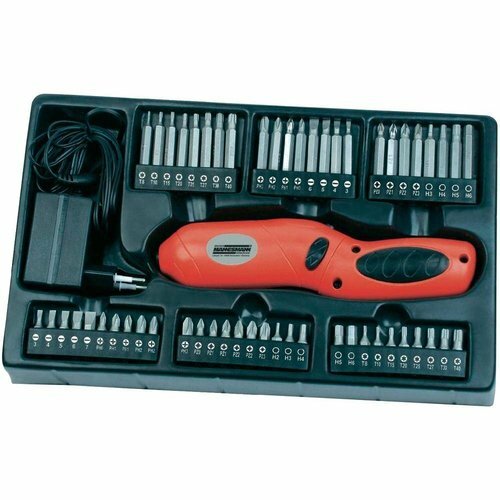 More essential hand tools for jobs in and around the house.